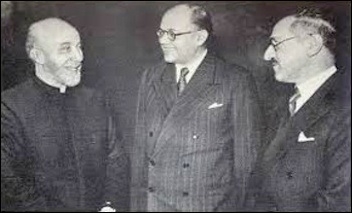 Israeli Prime Minister Benjamin Netanyahu caused a storm of controversy on October 20 by quoting Hajj Amin al-Husseini, the infamous grand mufti of Jerusalem during the interwar years, as having told Adolf Hitler in 1941 to "burn" rather than deport the Jews of Europe, insinuating that this influenced the unfolding Nazi genocide. MEF Hochberg Family Writing Fellow Wolfgang G. Schwanitz, coauthor of Nazis, Islamists, and the Making of the Modern Middle East (2014), argues that two components of this question are unmistakably clear. 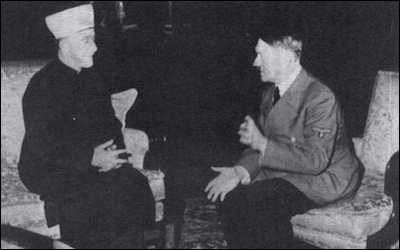 First, Husseini's overarching goal prior to and during Hitler's reign, he notes, was that "whatever happens with Jews under Hitler's reign in Europe, they should not come to the Middle East." At the very least, the Germans understood that deportation as a solution to Europe's "Jewish Question" risked alienating their top protégé in the Arab world – a region they expected in 1941-42 to be invading soon. In contrast, MEF fellow Jeffrey Herf, author of Nazi Propaganda for the Arab World (2010), contends that the Husseini's "importance in Nazi Berlin lay far more in assisting the Third Reich's Arabic language propaganda ... and in mobilizing Muslims in Eastern Europe to support the Nazi regime." Although these achievements surely facilitated Nazi atrocities, Hitler "made the decisions to implement the Final Solution and had communicated those decisions to key actors in the Nazi regime at the latest a month before his meeting with Husseini." 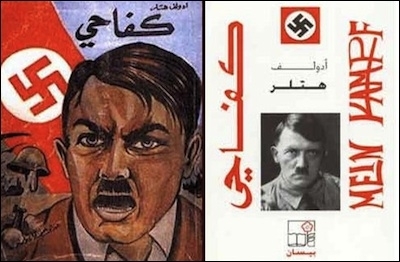 Hitler's Mein Kampf has been a bestseller in the Middle East since the 1930s. Related Topics: Antisemitism, History, Palestinians receive the latest by email: subscribe to the free mef mailing list This text may be reposted or forwarded so long as it is presented as an integral whole with complete and accurate information provided about its author, date, place of publication, and original URL.